Lots of people helped make this relaunch happen, but the project is especially indebted to tech wizards Tyler LaGue (formerly of the John Muir Institute of the Environment at UC Davis), Allen Gunn and the rest of the team at Aspiration, and Grant Kinney of GMK Design. See a full list of the people and organizations involved with this project throughout its history here and here. I continue to be honored to know the environmental justice activists who have so generously shared their stories with me over the 6 years since this project began. Cumulative impacts: One of the concepts that environmental justice advocates regularly invoke is ‘cumulative impacts.’ People are exposed to multiple pollution sources as they go about their daily lives, not just one at a time. However, our regulatory structure is largely inattentive to this reality, and often grants permits for new pollution sources by assessing them individually rather than assessing their contribution to the cumulative burden of pollution already felt in that area. Needless to say, poor people and people of color bear a higher cumulative burden of pollution than the rest of us. The new Voices from the Valley website has several features intended to support this framing. News feed/archive: By collecting news sources about all environmental justice issues in the Valley in the same place, the news feed underscores the multiple, intersecting pollution problems in the region. This comes across particularly well when you navigate to the archive view and look at a long list of headlines from the year. I could using a screenshot of this page in a classroom setting when teaching cumulative impacts. Collage: The collage features photos and first-person quotes/stories. They can be sorted and viewed by theme (ie ‘water,’ ‘air,’ ‘pesticides’ etc), but the default view is to have all of the categories show at once. (However, I think this feature still needs a little work to be more user friendly – suggestions welcome!). Map: The map provides a way to visualize where all of the communities featured in the project are in relation to eachother. Clicking on many of the town names opens up a pop-up window with photos from the photo exhibit. In the future, I’d love to enhance this feature to include data on the various pollutants felt at each of these locations. Multiple learning styles: The new site is designed to work with as many different learning styles as possible. It features slideshows, interactive collages, oral history, activity and lecture ideas for the classroom, and a searchable news archive that includes articles, videos, radio, television and digital multimedia projects. (When the first version of Voices from the Valley launched 5 years ago, we also did several interactive theater shows with Kairos Theater Ensemble. See this post for a description). Social media: Advocacy groups are increasingly using social media channels to get their message out. The new site’s list of relevant organizations in the San Joaquin Valley now includes links to their twitter and facebook channels, as well as a way for viewers to subscribe to all of their twitter channels at once. We also now have our own Voices from the Valley twitter and facebook accounts. The folks at Aspiration have been a big help in thinking through how these accounts can promote the project’s goals. I’m having a lot of fun experimenting with how to use them to engage in public conversations and connect to like-minded organizations. New name: ’25 Stories from the Central Valley’ was a great name, but inaccurate in a lot of ways. The original name was built around the 25 interviews I did with women environmental justice leaders in the Central Valley. The idea was that I would edit each of their interviews into stand-alone stories for the website… hence ’25 Stories.’ Only thing is, that was a much bigger project than I realized when I picked the name, and I never made it happen. So then I decided that if the photo exhibit was made up of 25 photos, that was close enough for the name to still work. But it got tiring explaining that to people, and eventually I also wanted more flexibility in the number of photos I could include in the exhibit. Also, when I started the project I thought it would cover the entire Central Valley, but the environmental justice movement is at its strongest in the southern half of the Central Valley (the San Joaquin Valley), and all the women I interviewed lived there or got started there. The more familiar I got with the area, the more I realized how distinct the San Joaquin Valley is from the Sacramento Valley (together they make up the Central Valley), and how the project name needed to reflect that. ‘Voices from the Valley’ got around the problems associated with the last name, and is a broader platform for growth in the future. Talking all of this through with the folks at smartMeme was a big help! I just finished a conference call with the organizers of JFKU’s annual Museum Studies Colloquium: “People/Planet/Profitability: Museums and Sustainability.” I’ll be facilitating the break-out group on Community Engagement with JFKU faculty member Margaret Kadoyama, as well as speaking on an afternoon panel. 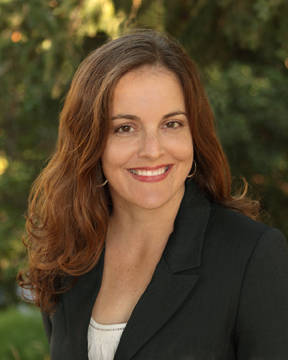 Other facilitators will include staff from the California Academy of Sciences and The Center for Ecoliteracy. This will be my second time participating in an event organized by museum professionals and museum studies scholars. The last one I went to was a lot of fun – I had a great time thinking about how museums could become centers of environmental learning that serve vibrant, diverse audiences. I hope to see you there! 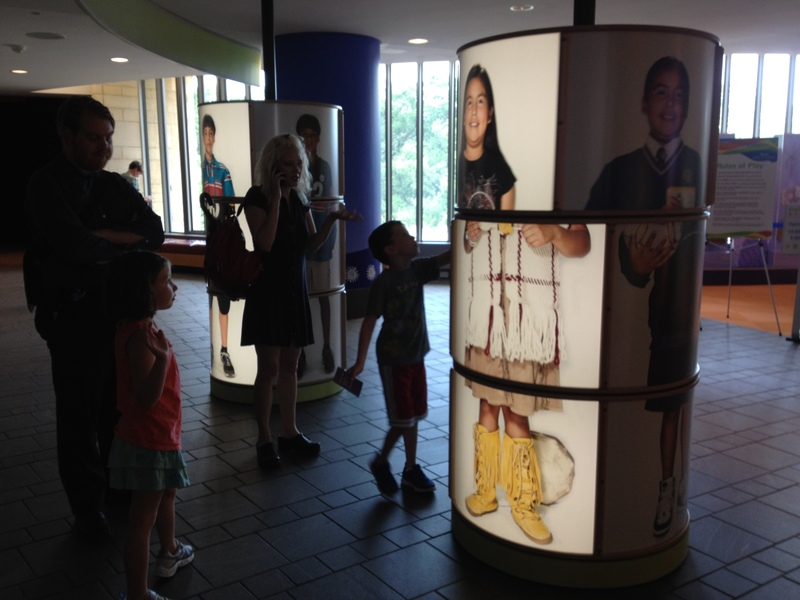 I recently visited the National Museum of the American Indian in Washington D.C. for the first time. My favorite parts were the depictions of each tribe’s community curators. 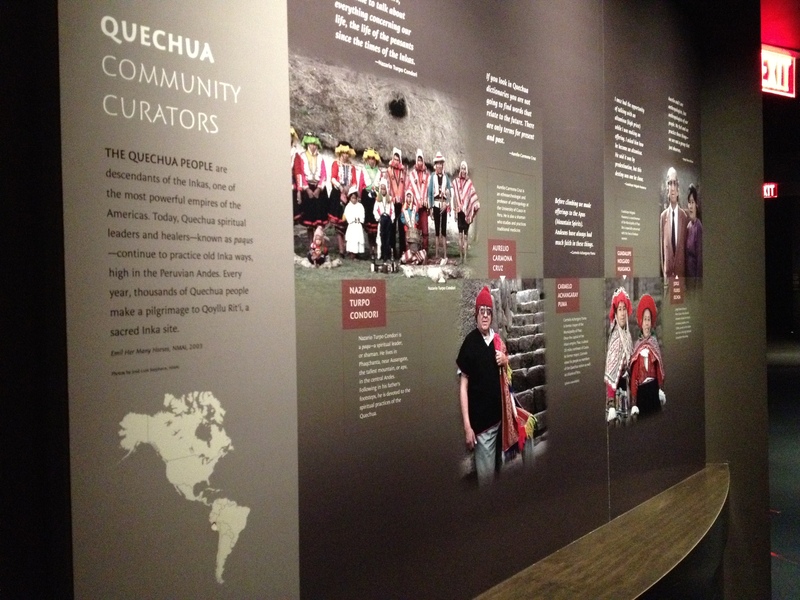 I’d heard before going that this museum does a great job of portraying Native American culture and history from the perspective of Native Americans themselves instead of from the perspective of outside observers, as has so often been the case. It reminded me a bit of one of the small town museums I visited in Mexico in 2006 that was part of the Union of Community Museums of Oaxaca. One historic photograph on display stood out in particular. It depicted a handful of local residents in a large city, perhaps with rugs in hand, accompanied by a white woman. The caption was an inversion of what one would typically see in a different setting. Instead of naming the white woman and representing her as the discoverer of the local artisans, it named the locals and described how they took their arts out into the world, accompanied by a nameless white woman. I loved it! 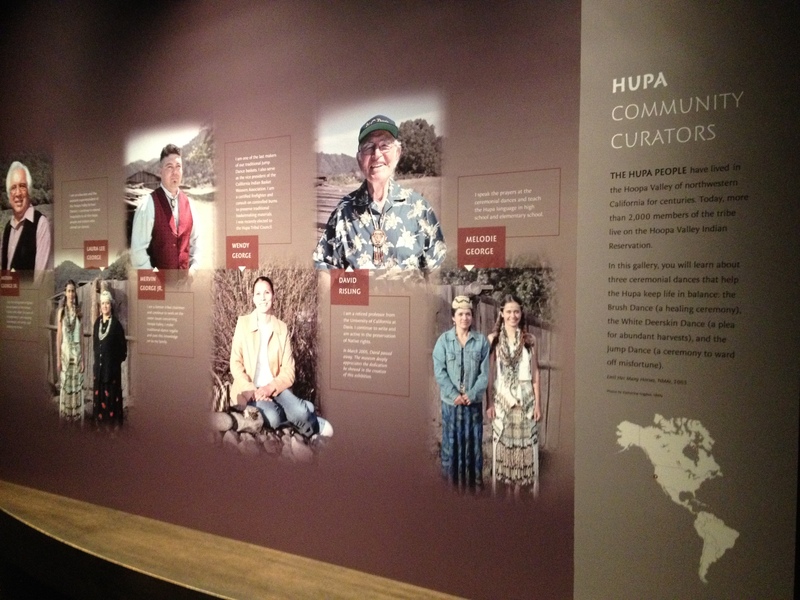 The community curator profiles at the Museum of the American Indian give some insight into how the exhibits came together, and did a nice job of personalizing the individual tribes. It must have been hard to figure out which people, and tribes, to feature in such a high-profile space. I was also intrigued by the children’s zone in the museum. I love that the interactive features shown below teach children to understand Native Americans as multifaceted members of contemporary society by showing them in a variety of clothing styles that the viewers can mix and match. From what I saw they were very popular exhibits with the kids! On the other hand, turning Native youth into objects for viewers to play with made me a little uncomfortable. I taught the first of what I hope will be a long career of classes in environmental justice this quarter. It was a 40-student upper-divison sociology course formally titled “Environmental Inequality.” My advisor Andy Szasz usually teaches it, but he had other responsibilities this year so I got to teach it instead. I had a great time coming up with my own syllabus, and Andy kindly sat in one day to observe and offer tips based on his many years of classroom experience. My father’s death in late January made this a difficult quarter, and Andy, Kevin Cody, Bradley Angel and Flora Lu helped get me through it with last minute guest-lectures and help with grading. Since it was my first time teaching the class, I focused on getting the syllabus and lectures in order and didn’t get particularly creative with the class assignments and evaluations (5 pop quizzes, a take-home midterm and a take-home final). Hopefully there will be opportunities for that later. Instead, I chose a fairly straightforward lecture format interspersed with discussion, small group-work, movies and multi-media clips. I’ve pasted the readings below, and added links and short descriptions of some of the things I did in class. You can also find a complete version of the syllabus with the rest of my syllabus collection here. Perkins, Tracy and Julie Sze. 2011. “Images from the Central Valley.” Boom: A Journal of California 1(1):70-80. Lerner, Steve. 2010. Sacrifice Zones: The Front Lines of Toxic Chemical Exposure in the United States. Cambridge, MA: The MIT Press. Bullard, Robert, Paul Mohai, Robin Saha and Beverly Wright. 2007. Toxic Wastes and Race at Twenty: 1987-2007: Grassroots Struggles to Dismantle Environmental Racism in the United States. Cleveland, OH: United Church of Christ Justice and Witness Ministries. Lecture activity: My Town, Your Town. I adapted the activity for use in lecture as described at the bottom of the link. Gottlieb, Robert. 1993. Forcing the Spring: The Transformation of the American Environmental Movement. Washington, D.C.: Island Press. Rechtschaffen, Clifford, Eileen Gauna and Catherine A. O’Neill. 2009. Environmental Justice: Law, Policy and Regulation. Durham, NC: Carolina Academic Press. Letter, Circa Earth Day 1990. Lecture aid: What Is the Environment and What Do People Do There? Video: Bird Like Me (5:48). I asked the students the following questions to get discussion going: What tensions did you see in the film? What different conceptions of the environment did you see? How does Wyatt Cenac feel about the Audubon Society’s involvement in Turkey Creek? How do the residents feel? You can read my other posts on using this Daily Show clip in the classroom here and here. London, Jonathan, Ganlin Huang and Tara Zagofsky. 2011. Land of Risk/ Land of Opportunity: Cumulative Environmental Vulnerability in California’s San Joaquin Valley. Davis, CA: UC Davis Center for Regional Change. Lu, Flora. “Petroleum Extraction, Indigenous People and Environmental Injustice in the Ecuadorian Amazon.” In International Environmental Justice. Frederick Gordon and Gregory Freeland, Co-Editors. ILM Publishers. Forthcoming. Harrison, Jill. 2006. “’Accidents’ and Invisibilities: Scaled Discourse and the Naturalization of Regulatory Neglect in California’s Pesticide Drift Conflict.” Political Geography, 25(5), 506-529. Activity: I asked the students to 1.) create a definition of an accident and come up with examples and 2.) discuss and take notes on when something ceases to be an accident and becomes ‘something else,’ and to come up with more examples of what the ‘something else’ might look like. After we discussed their work, I asked the students to consider why it matters if something is determined to be an accident or not. We then made two lists of words on the chalkboard. In one column we put words that are used to describe problems as individual and unique, and in the other column we put words used to describe broad societal problems. Column A filled up with words like “bad apple,” “bad actor,” “individual,” “accidental,” “the exception, not the rule,” “local,” and “outlier.” Column B filled up with words like “structural,” “widespread,” “patterned,” “everyday,” etc. Agyeman, Julian, Robert D. Bullard, and Bob Evans, eds. 2003. Just Sustainabilities: Development in an Unequal World. Cambridge, MA: MIT Press. Cole, Luke and Sheila Foster. 2001. From the Ground Up: Environmental Racism and the Rise of the Environmental Justice Movement. New York: New York University Press. Corburn, Jason. 2005. Street Science: Community Knowledge and Environmental Health Justice. Cambridge, MA: The MIT Press. Shearer, Christine. 2011. Kivalina: A Climate Change Story. Chicago, IL: Haymarket Books. Video: A Debilitating Medical Mystery (7:23) I asked the students to analyze the video based on the content of the reading assignment. Wallace, Aubrey. 1993. Eco-Heroes: Twelve Tales of Environmental Victory. San Francisco, CA: Mercury House. Mrs. Gibbs Goes to Washington. II. What Causes Environmental Inequality? Activity: The Story of Luis. See pages 3-4 in chapter 26 of Helping Health Workers Learn. I used this story to help train the students to analyze root causes of social problems. I read the story aloud and then asked the question, “Why did Luis die?” However, since I did not think the students would answer in the linear fashion modeled on pg. 4, I had them call out as many possible causes of Luis’s death as they could think of in no particular order. As they called them out, I wrote down their answers on the board in loose columns. The columns on the left were the most individualized (“he stepped on a thorn”) and the columns on the right were the most social (“global capitalism fosters social inequality”). Bernstein, M. 1955. Regulating Business by Independent Commission. Princeton, NJ: Princeton University Press. Pgs. 74-95. Polanyi, Karl. 1944. The Great Transformation: The Political and Economic Origins of Our Time. Boston, MA: Beacon Press. Faber, Daniel. 2008. Capitalizing on Environmental Injustice: The Polluter-Industrial Complex in the Age of Globalization. Lanham, MD: Rowman and Littlefield Publishers. III. What is being done? Website: Center on Race, Poverty and the Environment. http://www.crpe-ej.org/crpe/. Read entries under “Campaigns” including: Civil Rights, Clean Air, Dairies, Climate Justice, National, Forgotten Voices, Don’t Waste the Valley, Pesticides, and Power to the People. Pellow, David Naguib and Robert J. Brulle, eds. 2005. Power, Justice and the Environment: A Critical Appraisal of the Environmental Justice Movement. Cambridge, MA: The MIT Press. Ch. 10: “Environmental Justice and the Legal System” by Holly D. Gordon and Keith I. Harley. Carmin, JoAnn and Julian Agyeman. 2011. Environmental Inequalities Beyond Borders: Local Perspectives on Global Injustices. Cambridge, MA: The MIT Press. Keefe, Patrick Radden. 2012. “Reversal of Fortune.” The New Yorker, Jan. 9, 38-49. Ch. 4: “Mission Impossible? Environmental Justice Activists’ Collaborations with Professional Environmentalists and with Academics” by Sherry Cable, Tamara Mix, and Donald Hastings. Activity 1: We made a list of common problems that arise between activists and academics in one column, and in a second column listed explanations for these problems. Activity 2: Students got a chance to see a real world example of how one group of academics and activists are trying to work together productively. I handed out copies of the San Joaquin Valley Cumulative Health Impacts Project’s “Principles of Collaboration” document. You can see them here. Students read them individually and identified where they saw the activists’ interests being protected and where they saw the academics’ interests being protected. Lecture aid: Voices from the Valley project overview. An alternate example of an academic (me) trying to work productively with activist groups. Rosenbaum, Walter A. 2008. Environmental Politics and Policy. Washington, D.C.: CQ Press. Video: The Story of Cap and Trade (9:56) I asked the students to watch for 1) tensions between market-based and command-and-control regulation and 2) potential environmental justice implications of cap-and-trade regulation of greenhouse gases. London, Sze, Liévanos. 2008. “Problems, Promise, Progress and Perils: Critical Reflections on Environmental Justice Policy Implementation in California.” UCLA Journal of Environmental Law and Policy 26(2):255-290. Gonzalez, Priscilla A., Meredith Minkler, Analilia P. Garcia, Margaret Gordon, Catalina Garzón, Meena Palaniappan, Swati Prakash, and Brian Beveridge. 2011. “Community-Based Participatory Research and Policy Advocacy to Reduce Diesel Exposure in West Oakland, California.” American Journal of Public Health 101(S1):166-175. Nath, Ishan. 2010. “Cleaning Up After Clean Energy: Hazardous Waste in the Solar Industry.” Stanford Journal of International Relations XI(2):6-15. Sze, Julie, Gerardo Gambirazzio, Alex Karner, Dana Rowan, Jonathan London, and Deb Niemeier. 2009. “Best in Show? Climate and Environmental Justice Policy in California.” Environmental Justice 2(4): 179-184. Alkon, Alison and Julian Agyeman, eds. 2011. Cultivating Food Justice: Race, Class and Sustainability. Cambridge, MA: The MIT Press. Solnit, Rebecca. 2000. Hope in the Dark. New York: Verso.